We’ve been working on Page Builder for years. In that time we’ve spoken to thousands of people, just like you. Our forums alone have over 17 thousand threads. 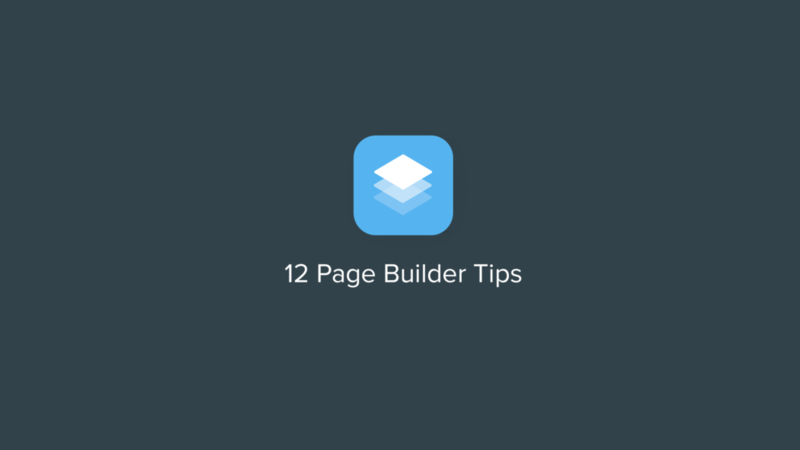 From all these interactions, we’ve been able to compile a list of the most important tips that every Page Builder user should know. In this very quick course, we’ll go over all of these in easy to digest video lessons. The entire course shouldn’t take you more than 20-30 minutes, and it’ll save you hours in not having to figure out everything for yourself. I hope you’ll join me. Remember, this course is free. You can sign up by clicking on the big signup button and entering your name and email address. Thanks for watching, and I’m looking forward to sharing these tips with you.